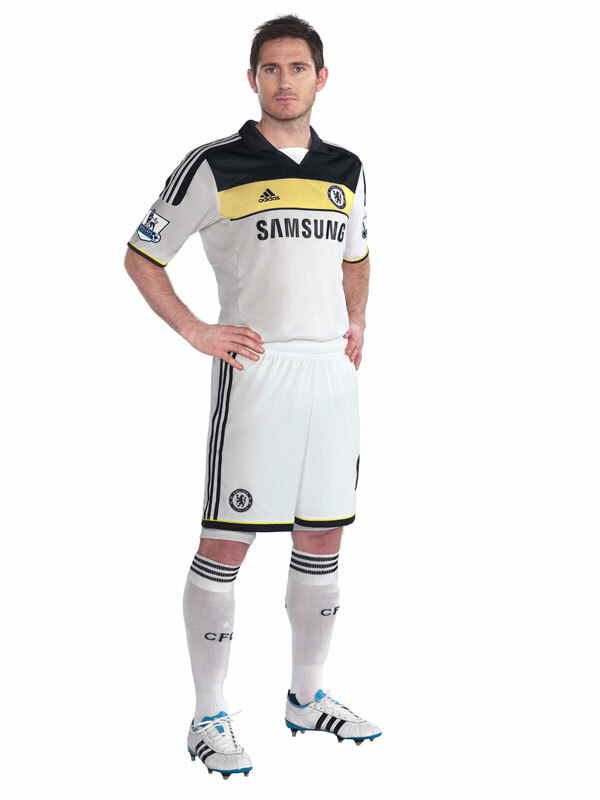 Looking a bit ‘LA Galaxy’, here we have a couple of photos of Chelsea’s brand spanking new third strip for 2011/12 that, as you can clearly see from the shot below, Lamps was overjoyed at being roped in to model. 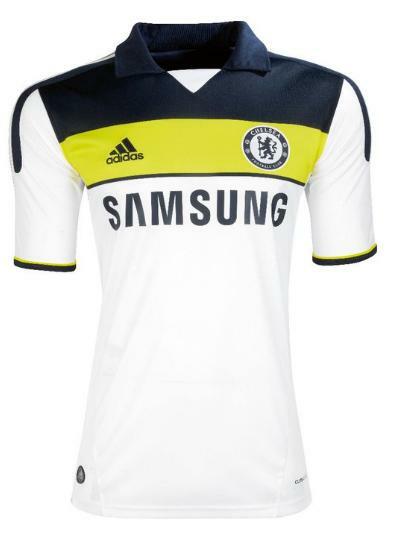 Like it, in fact we like it more than both the home and away kits Chelsea will be sporting this season – even if it does look a little untidy in and around the armpit area. All-in-all, it’s a definite improvement from some of the gaudy neon eyesores that Adidas have foisted on them over the past couple of years. What say you Pies fans? Thumbs up or thumbs down? in this way they can maximise profits and double wages without getting into major debt? In fact double the price of admission, pies….fans exist to be fleeced. Ken Bates wouldn’t say no. LA shirts are infinitely better. But seriously, those = crap x fail / poo on a stick. Good lord Al Neri, you must have been waiting a long time to use that knowledge on a football website. The black should be blue than it would be truly a superb kit, otherwise its a really nice kit.